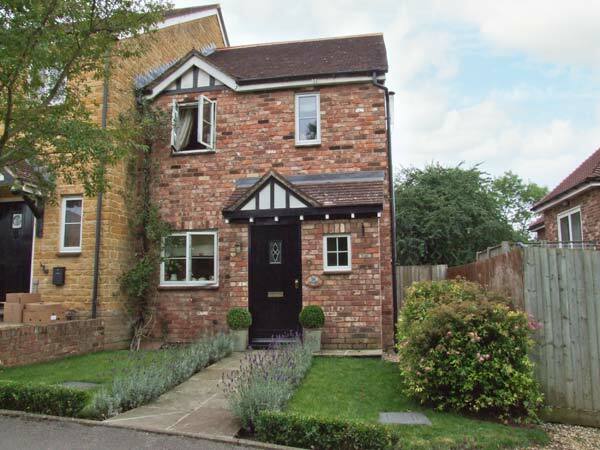 The Old Granary is a modern holiday home located in Wickhamford, Worcestershire. The old building has been renovated inside, but still maintains many of its original features such as the exposed beams and trusses. Downstairs has an open-plan living room with a gas flame effect fire, a fitted kitchen and dining area. There is a cloakroom and shower room. Upstairs has one double bedroom with an en suite bathroom and WC. Outside has a patio area with a picnic table provided. Off street parking is available. The Old Granary is the ideal secluded property for a romantic holiday. 1 Bedrooms Kitchen/Diner with cooker, microwave, fridge, iron and ironing board. Living Room with 2 large sofas, TV, DVD, Gas flame effect fire, wifi and views to the terrace. Utility Room with washing machine and dishwasher. Ben linen and towels supplied. High chair and cot available. Sorry no pets. Off street parking. Central heating with underfloor heating. Cannot do a Saturday Changeover. Pub 1.5 miles, shop 1.5 miles. Field Farm is a house situated in Wickhamford, Worcestershire. Internally, the rooms are light and spacious, with all modern fixtures and furnishings. Downstairs there is an open-plan living room and dining area with a gas flame effect fire encased in an attractive stone wall, a separate fitted kitchen and a cloakroom and WC. Upstairs there are two double bedrooms and one twin bedroom with views that look across to Broadway Tower. Outside has an enclosed lawned garden area with a terrace from the conservatory with a table and chairs that overlooks the surrounding countryside. Off road parking is available. 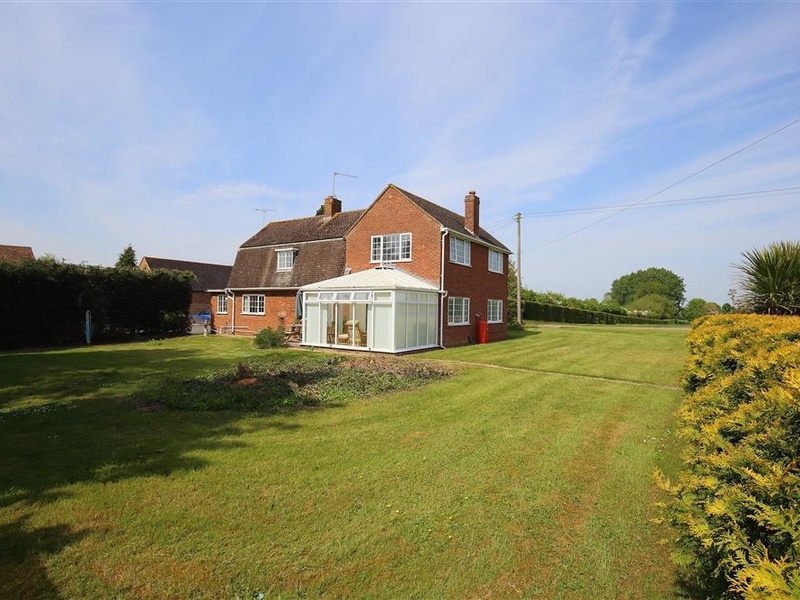 Field Farm is an excellent property for friends and families. 3 Bedrooms Well equipped Kitchen with electric oven and hob, microwave, fridge/freezer, dishwasher. Utility room with washing machine and washbasin. Bathroom/Cloakroom with shower, WC and washbasin. Living room with dining table and 10 chairs leading to living area with multiple sofas and armchairs, large TV, DVD Player and 'gas flame' effect fire. Fuel and power inc. in rent. Bed linen and towels inc. in rent. Off road parking. Enclosed lawned garden with terrace from the conservatory with table and chairs. Sorry, no pets. Sorry, no smoking. 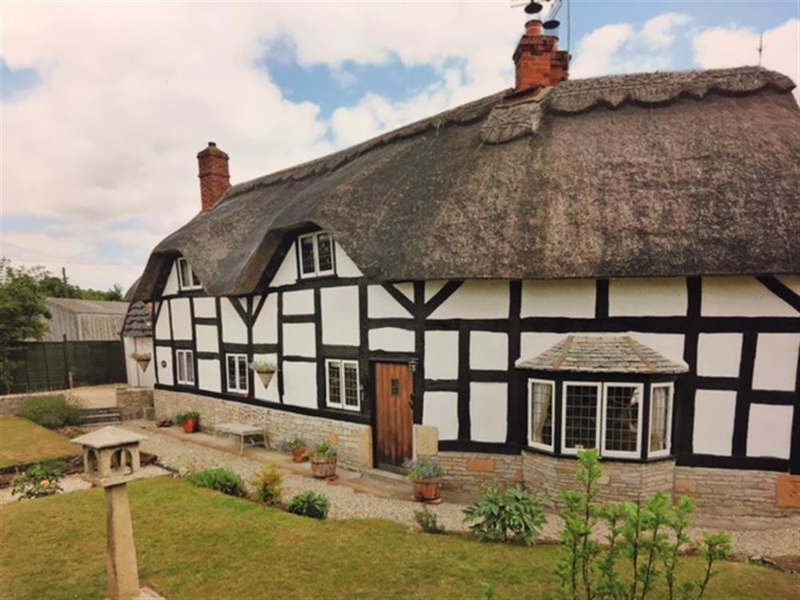 Brookfield Cottage is a historic country cottage which can be found in Wickhamford, Worcestershire and sits on a half-acre garden area. It is a 400 year old building that the owners have meticulously renovated into a modern, but comfortable holiday home. There is an open-plan living room with an open fireplace and exposed beams, a dining room and a fitted kitchen. Upstairs has two king-size bedrooms and one twin bedroom with a separate family bathroom and WC. Outside has a stone patio and lawned garden area with furniture provided. Ample off road parking is available for up to five cars. Brookfield Cottage is perfect for travellers. 3 Bedrooms Central heating. Gas range with gas hob, triple oven and grill, fridge/freezer, coffee machine, dishwasher. Utility with microwave, washing machine and tumble dryer. TV with Freeview, DVD, WiFi. Selection of books and games. Fuel and power inc. in rent. Bed linen and towels inc. in rent. One pet welcome. Surrounding gardens with summer house. Cot and highchair available. Ample off road parking for 4 or 5 cars. Note: This property requires a Good House Keeping Bond prior to arrival. Note: Although the gardens are enclosed a determined dog may find a way out. 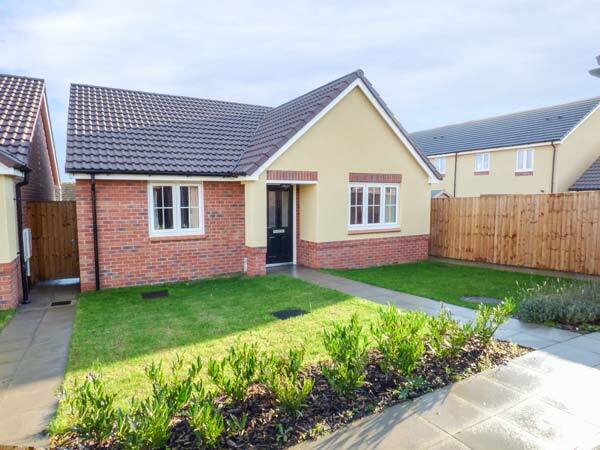 16 Stewart Close is a detached bungalow situated in Hampton, an area of Evesham, with the town centre just 1.5 miles away. This cottage sleeps three people and has two bedrooms, consisting of one king-size double and one double, together with a bathroom. The cottage also has a kitchen with dining area and a sitting room with dining area. Outside there's off road parking for two cars and a lawned garden with patio and furniture. 16 Stewart Close is a convenient base for exploring all that there is to see in Worcestershire. 2 Bedrooms Gas central heating. Electric oven and gas hob, microwave, fridge, freezer, TV with Freeview, DVD, CD/radio, WiFi, selection of books, games and DVDs. Fuel and power inc. in rent. Bed linen and towels inc. in rent. Off road parking for 2 cars. Lawned garden with patio and furniture. Sorry, no pets and no smoking. Shop 10 mins walk, pub 1 mile. Honeysuckle Cottage is an end-terrace cottage in Wickhamford near Evesham. The cottage has a king-size double sleigh bed, a twin and a single room. There is a family bathroom, and an additional ground floor cloakroom. The kitchen is well-equipped, there is a separate dining room leading to the garden, and the sitting room has a woodburning stove for relaxing in front of. Outside is an enclosed garden with decking and furniture, and off road parking for two cars. Honeysuckle Cottage is ideally placed for enjoying walking and cycling, exploring pretty Cotswold villages and towns, or just relaxing in comfort. 3 Bedrooms Gas central heating with woodburning stove. Electric oven and hob, fridge, freezer, washing machine, dishwasher, TV with Freeview, DVD, CD/radio, iPod dock, WiFi, selection of books, games and DVDs. Fuel, power and starter pack for stove inc. in rent. Bed linen and towels inc. in rent. Highchair. Off road parking for 2 cars, additional off road parking spaces on first come, first served basis. Enclosed lawned garden with patio, decked area, furniture and BBQ. One well-behaved dog welcome. Sorry, no smoking. Small farm shop 5 mins walk. Shop and pub 2 miles. Note: Due to the location near the A44, road noise can be heard when outside. Note: There are steps in the garden and raised levels, children to be supervised. Set in glorious countryside with outstanding views towards the Cotswold Hills and the Vale of Evesham, Cottons Farm enjoys a truly peaceful setting at the end of a long tree-lined drive, 300 metres from the road. It is just a mile from the pretty, unspoilt village of Dumbleton, easily accessible by road or footpath, and 5 miles from Broadway, the ever-popular &lsquo;capital&rsquo; of the Cotswolds.Very tastefully converted from 150-year old farm buildings (including cart-shed, stable and dairy), these comfortable cottages are well equipped and furnished to a high standard. 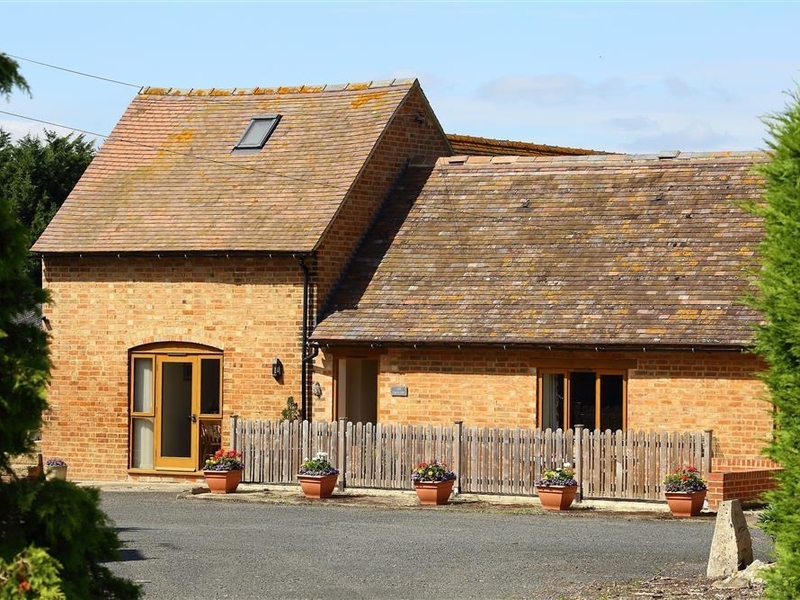 Lime Cottage (ref NJ7) is a single-storey detached barn conversion providing light, spacious and attractively furnished accommodation with exposed brickwork and oak fitted kitchen. Poplar Cottage (ref NXP) is a charming detached barn conversion offering very cosy accommodation with two pretty bedrooms.The holiday cottages are surrounded by 58 acres of working farmland, with ridge and furrow rolling down to the River Isbourne, which lies 150 metres away from the cottages. Visitors are welcome to walk in the fields surrounding the farm and many public footpaths run nearby.Cool in summer, warm and welcoming in winter, they are centrally heated and well insulated. Set near the owners&rsquo; home, yet retaining complete privacy, each cottage has its own individual character with many original features, and enjoys its own area of garden and patio. A perfect place to relax, they are ideally situated for walking and touring the Cotswolds.Broadway, with its old stone houses and fascinating shops, also boasts Broadway Tower, now the centre of a country park and home to an observatory and exhibition. The market town of Evesham (5 miles) has tree-lined streets and pretty walks along the River Avon. Only a few minutes&rsquo; drive, on the edge of the Cotswold hills, is Toddington, where visitors can board a train on the Gloucestershire&ndash;Warwickshire Great Western Railway (mid March - mid October), and enjoy a ride through picturesque villages.In nearby Winchcombe there&rsquo;s Sudeley Castle, while the Cotswolds Farm Park/Adam&rsquo;s Farm (with its rare breeds of animals) and the bird sanctuary at Bourton-on-the-Water are easily reached, as are Stanway House, Hidcote Garden, Snowshill Manor and Cheltenham. Stratford-upon-Avon and the cathedral city of Worcester are within an hour&rsquo;s drive. The neighbouring villages boast traditional pubs and many excellent restaurants. Riding, swimming, golf, tennis and fishing are all close by. Shop 1 mile.These properties can be booked together to accommodate up to 5 guests. These three cottages (refs UKC2251, UKC2252 and UKC2253), originally Victorian barns, have kept many original features including beams and exposed brick work, and have been comfortably furnished and well-equipped with your comfort in mind. Grooms Cottage (ref UKC2253), is a mid-terraced property, and is perfect for a couple looking for a romantic getaway, and to explore the area. Coopers Cottage (ref UKC2252) and Gardeners Cottage (ref UKC2251) are end-terraced properties, and both have two bedrooms, each with their own en-suite bathroom. All three cottages have an open plan living space with doors leading to the shared garden, where there is plenty of space and a children&rsquo;s play area, but each also has their own seating area. Take a dip in the owner&rsquo;s outdoor heated swimming pool, located just a 5-minute walk away from the cottages, which also has a low roof so it can be used in any weather (open May-Oct).Sedgeberrow is located just 3 miles away from the bustling market town of Evesham, set in a meander of the River Avon. There is something for everyone with many independent and high street shops, an array of restaurants catering for all tastes and many eclectic festivals happening throughout the year. This is also the perfect location to enjoy and explore the Cotswolds with Broadway being only 6 miles away and Chipping Campden, Stow-on-the-Wold and Bourton-on-the-Water a little further afield. The Malvern Hills, an Area of Outstanding Natural Beauty, is just 25 miles away and is a great area for walking the hills. Cheltenham, famous for its annual horse racing festival, is 15 miles away. The medieval towns of Tewkesbury and Pershore are steeped in history and both have an abbey at the centre, shops and cafes, and are situated on a beautiful waterside location along the banks of the River Severn. There are also three golf courses within 7 miles as well as numerous places to go for a bike ride, horse ride or to try your luck at fishing. The Regal Cinema and Evesham Arts Centre in Evesham have regular showings of the latest movies as well as other live performances by renowned comedians. Shop 1&frac12; miles, pub with restaurant 200 yards. These properties can be booked together to accommodate up to 12 guests.